The Stoneage Costume was first released in May 2006 in Account Upgrades and the costume has been retired and forgotten about ever since. 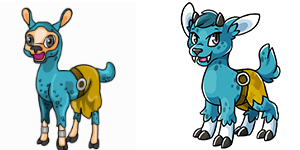 A new version of the Stoneage Account Upgrade has been released, with 8 new stoneage themed items and either a Stoneage coloured Nino or Zetlian Enchanted Plushie. This AU will retire October 27th. The Nino, Chibs, Ike, Phanty, Troit and Zetlian can now wear the Stoneage Costume. The Stoneage Feliz has been revamped - we hope you like the changes! A new Weekly Item Contest has just started. This week's item is Yakubi Helmet, you will need to send this item to the 'Challenge' account. The challenge is to send as many of this item to 'Challenge' this week. The top 3 players at the end of the challenge will receive a Cupid Easter Egg, 200,000MP and a Gold Trophy, the next 6 players will receive 150,000MP and a Silver Trophy and the next 9 players will receive 100,000MP and a Bronze Trophy. The Drake a wise, old and experienced fighter. He's been training in the gym all day, everyday since birth and encourages other pets to join him. The higher your pet level is, the greater he will reward them. 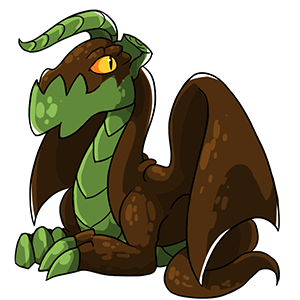 The Drake has been added to the Foxfire Forest world map and the Rewards page. Can you find the 'Drake' and 'Cian' Hidden Avatars? The August 2015 Monthly Checklist winners have been announced and the prizes have been rewarded. Congratulations to all of those who have won. Don't forget, this is a monthly permanent feature that you can enter for FREE. If you haven't already, you should start entering the September event! A new Monthly Mission Contest has just started. This month's mission is Theatre. The challenge is to complete as many levels of this Mission in a month. You will earn an extra point for each level you complete. Complete level 1 and receive 1 point, complete level 2 and receive 2 points and so on. A new Weekly Battle Contest has just started. This week's opponent is Mount, you will need to have a Mount Trading Card in your Battle Deck. The challenge is to win as many battles against this opponent this week. The top 3 players at the end of the challenge will receive a Crinkal Trading Card, 200,000MP and a Gold Trophy, the next 6 players will receive 150,000MP and a Silver Trophy and the next 9 players will receive 100,000MP and a Bronze Trophy. The Lottery has been drawn for this week. Snooky740 is the winner of the 595,800MP Jackpot with the winning numbers of 1, 9, 20, 40, 45 and 46. Congratulations! Last Week's Raffle has now ended. chall231 is the winner of the Red DNA and 100,000MP prize with the winning raffle ticket number 4994! Congratulations! Make sure you buy your tickets for today's raffle - only 10MP per ticket! A new Weekly Quest Contest has just started. This week's quest game is Eleka Prison. The challenge is to complete as many of these Quests this week. The top 3 players at the end of the challenge will receive a Simerian Costume, 200,000MP and a Gold Trophy, the next 6 players will receive 150,000MP and a Silver Trophy and the next 9 players will receive 100,000MP and a Bronze Trophy. A new Weekly Item Contest has just started. This week's item is Red Addow Pen, you will need to send this item to the 'Challenge' account. The challenge is to send as many of this item to 'Challenge' this week. The top 3 players at the end of the challenge will receive a Midnight Easter Egg, 200,000MP and a Gold Trophy, the next 6 players will receive 150,000MP and a Silver Trophy and the next 9 players will receive 100,000MP and a Bronze Trophy. A new Weekly Battle Contest has just started. This week's opponent is Halloween Elger, you will need to have a Halloween Elger Trading Card in your Battle Deck. The challenge is to win as many battles against this opponent this week. The top 3 players at the end of the challenge will receive a City Mayor Trading Card, 200,000MP and a Gold Trophy, the next 6 players will receive 150,000MP and a Silver Trophy and the next 9 players will receive 100,000MP and a Bronze Trophy. The Lottery has been drawn for this week. MclarenF1021 is the winner of the 465,500MP Jackpot with the winning numbers of 5, 14, 16, 23, 32 and 39. Congratulations! Last Week's Raffle has now ended. Meggyness is the winner of the Red DNA and 100,000MP prize with the winning raffle ticket number 1247! Congratulations! Make sure you buy your tickets for today's raffle - only 10MP per ticket! The Game of the Week has changed to Domino. A new Weekly Quest Contest has just started. This week's quest game is Snowman. The challenge is to complete as many of these Quests this week. The top 3 players at the end of the challenge will receive a Tundra Costume, 200,000MP and a Gold Trophy, the next 6 players will receive 150,000MP and a Silver Trophy and the next 9 players will receive 100,000MP and a Bronze Trophy. A new Weekly Item Contest has just started. This week's item is Fasoro Backpack, you will need to send this item to the 'Challenge' account. The challenge is to send as many of this item to 'Challenge' this week. The top 3 players at the end of the challenge will receive a Bankrupt Pearl, 200,000MP and a Gold Trophy, the next 6 players will receive 150,000MP and a Silver Trophy and the next 9 players will receive 100,000MP and a Bronze Trophy. A new Weekly Battle Contest has just started. This week's opponent is Lord Splishy Splashy, you will need to have a Lord Splishy Splashy Trading Card in your Battle Deck. The challenge is to win as many battles against this opponent this week. The top 3 players at the end of the challenge will receive a Tichu Trading Card, 200,000MP and a Gold Trophy, the next 6 players will receive 150,000MP and a Silver Trophy and the next 9 players will receive 100,000MP and a Bronze Trophy. The Lottery has been drawn for this week. Jessica is the winner of the 548,400MP Jackpot with the winning numbers of 11, 16, 27, 28, 39 and 44. Congratulations! Last Week's Raffle has now ended. cutty391 is the winner of the Red DNA and 100,000MP prize with the winning raffle ticket number 3504! Congratulations! Make sure you buy your tickets for today's raffle - only 10MP per ticket! We will not be having a birthday party event this year, as we have been very busy with the new Characters update. We are now two-thirds ready with phase 2 of the dress up dolls update! Today is too special to have nothing new so here is the new Dukka Town map we finished just in time. We hope you like the changes! You can now edit each of your Pet Profiles. It is similar to normal profiles, you can add a header, story page and a small image or text next to your pet. BBCodes work too! The Poison Account Upgrades will retire at midnight. There is a new BBCode - enter [DOLL] anywhere on the site that accepts codes and the image of your dressup doll will show up! A new Weekly Quest Contest has just started. This week's quest game is Computer Repair. The challenge is to complete as many of these Quests this week. The top 3 players at the end of the challenge will receive a Super Hero Costume, 200,000MP and a Gold Trophy, the next 6 players will receive 150,000MP and a Silver Trophy and the next 9 players will receive 100,000MP and a Bronze Trophy. A new Weekly Item Contest has just started. This week's item is Frozen Green Apple, you will need to send this item to the 'Challenge' account. The challenge is to send as many of this item to 'Challenge' this week. The top 3 players at the end of the challenge will receive a Money Pearl, 200,000MP and a Gold Trophy, the next 6 players will receive 150,000MP and a Silver Trophy and the next 9 players will receive 100,000MP and a Bronze Trophy. A new Weekly Battle Contest has just started. This week's opponent is Scrooge, you will need to have a Scrooge Trading Card in your Battle Deck. The challenge is to win as many battles against this opponent this week. The top 3 players at the end of the challenge will receive a Felicia Trading Card, 200,000MP and a Gold Trophy, the next 6 players will receive 150,000MP and a Silver Trophy and the next 9 players will receive 100,000MP and a Bronze Trophy. The first phase of our major Character upgrade has been completed. Our dolls are over 10 years old now and were created in flash. A lot has changed since then and flash is pretty much dead - even YouTube has stopped using it! For us this was a major issue, as flash doesn't load on mobiles or tablets. It has also got slower and more unstable for desktop users too. Characters have switched to PNG images in all parts of the site now and you should already noticed a huge difference in the speed of the site. There are a few changes. Shops and galleries can no longer have a different experience than profiles. Animated clothing or experiences are static now. If you play Marapets on desktop, flash will still be used at the Lush Fountain and Wardrobe previews. The next phase is the revamp of the Male Doll. We have been busy redrawing and fixing all male clothes. Yesterday we completed 434 male clothes - officially half way done! The Gonk and Equilor can now wear the Space Fairy Costume. The Equilor and Troit can now wear the Toddler Costume. We completed a Server Update yesterday without any downtime. For those interested, we have installed Railgun - this cuts down on bandwidth, transfer time, and overall page load times. Railgun caches these differences in memory to make page processing as fast as possible. Marapets now runs even faster than before - we hope you noticed the changes! The Agatha, Capone, Edwina, Nimble, Sneaky and Tokem can now wear the Ball of Moonlight Yarn. The Lottery has been drawn for this week. AbsolutNormal is the winner of the 579,100MP Jackpot with the winning numbers of 15, 21, 26, 29, 37 and 49. Congratulations! Last Week's Raffle has now ended. Merples is the winner of the Red DNA and 100,000MP prize with the winning raffle ticket number 711! Congratulations! Make sure you buy your tickets for today's raffle - only 10MP per ticket! 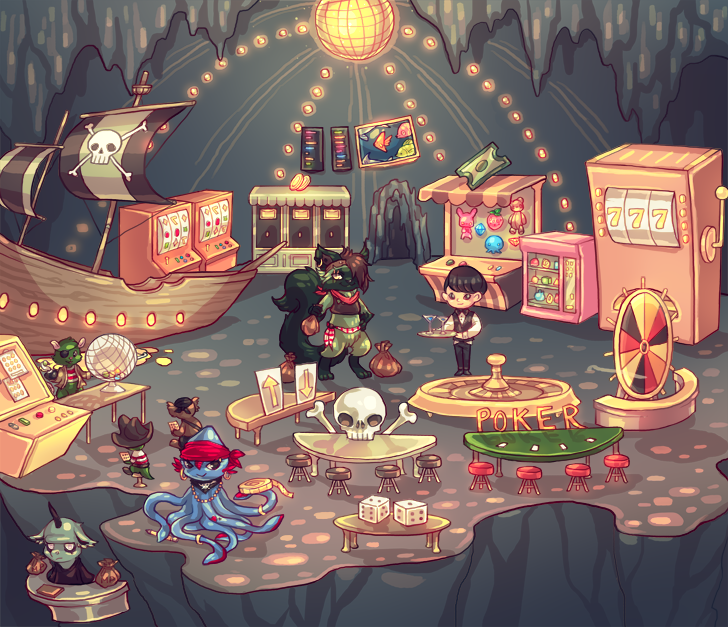 The Game of the Week has changed to Undead Billiards. The July 2015 Monthly Checklist winners have been announced and the prizes have been rewarded. Congratulations to all of those who have won. Don't forget, this is a monthly permanent feature that you can enter for FREE. If you haven't already, you should start entering the August event! All Vlad pets will receive DOUBLE STATS at the Gym and Elite Gym until August 14th. All Toddler pets will receive FREE TRAINING at the Gym and Elite Gym until August 21st. And all Toddler pets will receive FREE LESSONS at the School until August 21st. Just a reminder that the Toddler Account Upgrade will automatically retire in 72 hours. The Astro, Kidlet and Rofling can now wear the Toddler Costume. All of the Kidlet colours have been updated to the new, consistent style. The Kidlet pet has been updated. We hope you like the changes!